by Brianna Crandall — January 30, 2019 — If you need to reduce moisture and filter the air during or after a project, note that Legend Brands’ Dri-Eaz dehumidifiers now come with the new 4-PRO filter designed specifically for restoration, remediation and construction jobs. 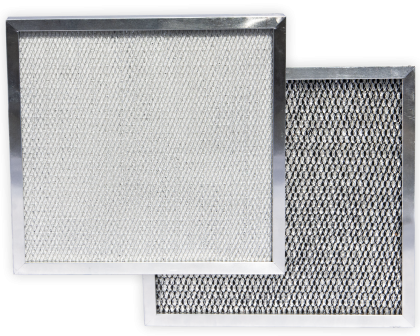 As the replacement for the discontinued 3M HAF filter, the 4-PRO dehumidifier filter captures dust and debris to protect internal components, and even helps to control odors. Expanded cellulose mesh reduces build-up on internal dehumidifier components by capturing large particles. Electrostatically charged polypropylene captures smaller particles. The 4-PRO is not reusable and should be discarded after use, notes Legend Brands. The company recommends replacing the filter whenever the accumulation of dust and debris is visible, or after every job where there is a risk of cross-contamination. Replacement 4-PRO filters can be purchased from authorized distributors for the Dri-Eaz dehumidifiers listed above, plus the Evolution LGR. 3M HAF filters are currently being sold for other models — the LGR 2800i, 3500i, 2000 and 2400 — until mid-spring, when the 4-PRO filter will be available for these remaining models. To learn more, visit the 4-PRO Four-Stage Air Filter product page on the Legend Brands Restoration website. Legend Brands combines over 185 years of experience in providing equipment, accessories and chemicals for professional cleaning, facilities maintenance, portable environmental control, and water and fire damage restoration and remediation.